The Delaware Valley Regional Planning Commission (DVRPC) has announced $7.5M in awards for non-highway transportation projects submitted from the five Southeastern PA counties. 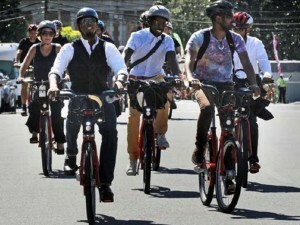 Among these projects, which will receive Transportation Alternative Program funding1, are two major Philadelphia bicycle projects and several regional trails. Here is a preview of how this money will impact bicycling in our region. Coming to our streets this next spring, Philadelphia bike share is receiving $1.25 million of this regional TAP funding. These funds will be used, along with other public and private funding, to launch the core bike share system. Bike share will provide both residents and visitors with a low-cost form of public transit through short-term bicycle rentals. Philadelphia’s bike share system will be integral to our tourism industry, as well as complimenting our existing transportation options for residents by allowing people to make one-way bike trips and reach neighborhoods not conveniently serviced by SEPTA. Philadelphia bike share will be the most inclusive system in the United States and will also boast the greatest number of stations per square mile in the United States. 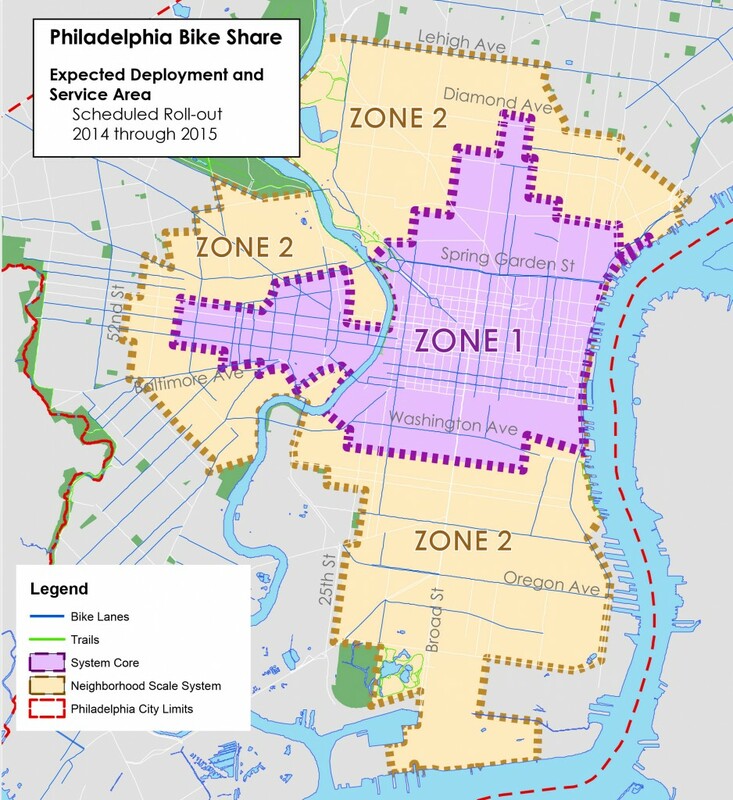 The Philadelphia Streets Department received a grant of $250,000 to implement the South Philadelphia Neighborhood Bikeways, Philadelphia’s first Neighborhood Bikeway. 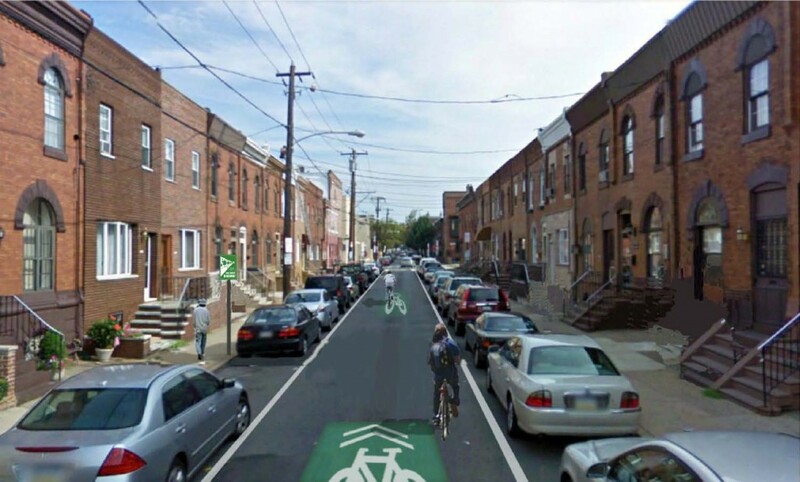 The South Philadelphia Neighborhood Bikeways project creates a safe, inviting environment for pedestrian and bicycle commuters in the heart of a dense neighborhood with high levels of cycling and walking. 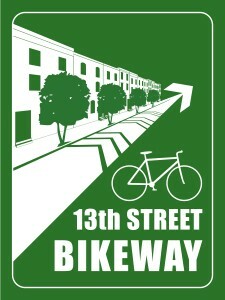 This project will designate 13th and 15th Streets, from South St down to Oregon Ave, as “Neighborhood Bikeways.” This will be implemented through branding, directional signage, and special road markings, including innovative use of green paint and shared roadway symbols. If successful this treatment may be replicated in other areas of the city. The concept for this new type of streets pavement marking was developed by the Streets Department, Planning Commission, MOTU and the Bicycle Coalition of Greater Philadelphia, and was a prime focus of our Safe Streets Healthy Neighborhoods program. About the Transportation Alternatives Program: TAP provides funding for alternatives to highway projects, including projects to benefit Safe Routes to School, public transit, bicycles and pedestrians. TAP funding represents 2% of the Highway Account of the Highway Trust Fund. The TAP funding shows the federal government’s ongoing commitment to supporting alternative transportation. Additional projects from the five counties were recommended to PennDOT for the statewide TAP funds. An announcement about which projects will receive statewide TAP funds will be made in the early fall. We are very excited to see these major projects moving forward. Building more sustainable infrastructure keeps Philadelphia and its surrounding counties at the forefront of economic competitiveness and livability in the 21st century.